You might have gone for the shellac nail polish at a nail salon, but now it is time to remove the nail polish. This is where you realize that it is harder to remove this nail polish as what you might have thought. What now? How are you going to get this polish off without damaging your nails? The good news is that there are different ways on how you can remove the shellac nail polish. Ways that will ensure that you don’t damage your nails in any way. This is everything that you should know about this nail polish and how you can remove it from your nails. Going to a salon or remove the nail polish yourself? The first method is the soaking method. The second method is the wrapping method. The first thing that you should know is what is shellac nail polish and what is making it different from acrylic and gel nail polish? Shellac nail polish is a mixture of gel and normal nail polish. Because this is basic nail polish, it can’t be used to extend or build your nail. This is a basic nail polish that is just lasting a longer time than original nail polish. Gel nails can be extending your nails. Acrylic can also be used to extend your nails. This is the known difference between shellac polish, gel polish, and acrylics. People that don’t like extending their nails, but that are looking for nails that are looking professional for a long time, is making use of shellac nail polish. This is to get the professional looking nails without the extensions. There are many reasons why women are going to the nail salon for shellac nail polish. And, if you never have gotten this type of nail polish before, these benefits will show you that it will be worth it. This nail polish dries a lot faster. This is because of using the light that is designed for the nail polish. Normal nail polish takes a lot longer to dry. And, there is always the possibility of having an accident while the nails are still wet. Using shellac nail polish is making sure that your nails are looking natural. There aren’t any extensions added to your nails that is looking unnatural. Not many women like the long, unnatural look. You don’t damage your nails as much as when you are applying gel or acrylic to your nails. It is long lasting. It will last a lot longer than normal nail polish, and you won’t need to worry about the polish falling off when your hands are always in water. You will always have good looking nails that are taking care off, all the time. Meaning that you are caught with nails that aren’t done properly anymore. These benefits show that it is a great idea to go to a salon for your shellac nail polish. However, then you should also make sure that you know how to remove it. It can be difficult to remove the nail polish if you don’t know exactly how you can remove it without any effort. We all know that going to a nail salon for getting your shellac nail polish is recommended. This is because of the equipment that you need to have in order for you to get your nails done with the shellac nail polish. But, what about removing it when it is time for a chance? Should you go to the salon for removing the nail polish, or can you remove it yourself at home? This is a question that many people are asking. The good news is that you don’t need to pay money to get the nails removed again. You can do it at home if you know exactly how to remove it safely. Yes, many professionals are recommending that your nails should only be removed by a professional, but this isn’t really essential. This is if you are following the right guide to removing shellac nail polish carefully. Something that you need to know is that there are so many women that are actually damaging their nails and nailbeds when they are removing the shellac nail polish at home. But, what are they doing wrong, to be able to damage their nails? They don’t realize how difficult it actually is to remove the polish themselves. Especially if they don’t have the right equipment for the process. They starting to veil their nails in hope that they are vailing away the polish. But, in fact, they are just making their nails thinner. Or, they are trying to pull the polish off their nails. This is the most common thing that women are doing to remove nail polish. And, it works. However, you are damaging your nails, because the polish is really stuck to the nails. It can take the top layer of your nails as well. The problem is that you don’t see that you are damaging your nails, but over time, you will see the results of the damage. This is good news. There are different ways on how you can remove your shellac nail polish. Ways on how you can do it safely and without damaging your nails. You are soaking your nails in acetone. This can dry out your hands and nails, so you should make sure that you are treating your hands and nails before you remove your polish and after you remove your polish. The best-recommended thing to treat your nails is cuticle oil. This will ensure that your nails don’t dry out. It is recommended to use pure acetone and that you soak your nails for 10 minutes. This is where you are using cotton balls and foil to remove the nail polish. You are soaking the cotton balls with acetone and wrap it around your nails with the foil to keep the cotton in place and so that it doesn’t dry out. It will remove the nail polish a lot easier this way. However, you should not let the cotton dry out on the nail. If you think that you are going to use the cheapest nail remover or acetone for shellac nail polish, then you should think again. First of all, if you are purchasing the cheapest and low-quality remover without any acetone as an ingredient, the shellac polish won’t get off. You might start to damage your nails in the process. Cheap acetone has a much bigger chance to damage your hands and nails. When you are using acetone, it is drying out your nails and hands. The higher quality acetone won’t damage your nails as easily. Especially, if you know how to treat your nails beforehand. It is important to use a high-quality remover that has a huge amount of acetone in for fast removal. The faster you are removing your nails, the less damage your nails and hands will have. It will be a lot harder, but it is possible to remove shellac nail polish without using acetone. You will need to have high-quality non-acetone nail polish and you need to scuff your nails first. You should scuff your nails until the shine is off your polish. The moment that you are seeing your nails through the polish, you know that you scuffed too much. Then, you are basically doing the same thing as what you would have with the wrapping method. You are only going to use a non-acetone nail remover and you might need to repeat the process before your nails will be removed completely. You should also still make use of the cuticle oil and a high-quality hand and nail cream afterward. However, the damage that acetone can do, will be avoided. One thing that you need to know is that there isn’t any easy way to remove shellac nail polish. There is an easy way, and it might be easy for most, but this isn’t a quick process. We are talking about the wrapping method for removing your shellac nail polish. With these steps, you will be able to remove your nail polish, without damaging your nails. But, remember that you will need to have some time for this process. Cut 10 pieces of aluminum foil in small pieces. It should be big enough to be able to wrap it around each finger. Do the same with the cotton if you don’t have cotton balls. Soak the cotton balls in acetone and wrap it around your fingers. Wrap the foil as well, to keep the cotton balls wet. Wait 10 minutes. Remove the foil and cotton and you will see that the polish is removed. You might use another soaked cotton ball to get rid of the last bit of polish that is still on your nails. Something that not many know. That there are some household items that you can use for removing the shellac nail polish. This is if you are using the wrapping method. Don’t think that this is a short cut to remove your nail polish faster. These are some of the household items that you have in your home to remove your nail polish. This might be great alternatives to the harsh acetone nail polish removers, but this is going to be a long process to make use of the alternative household items. 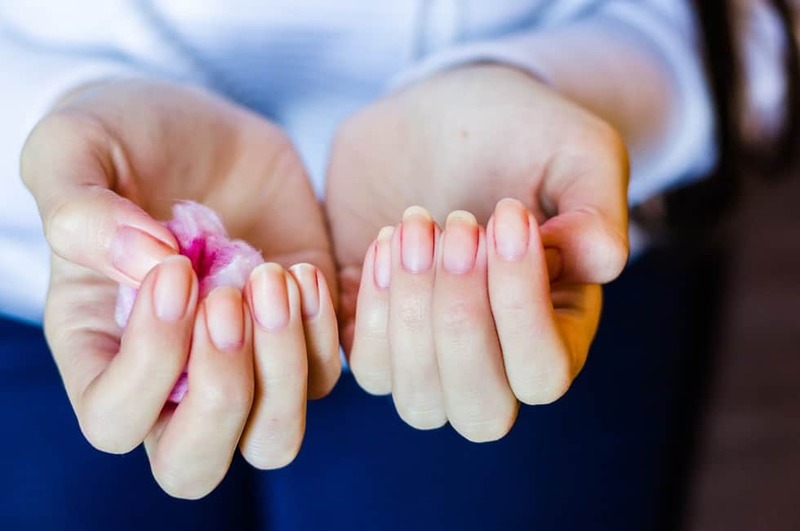 The more tips you have about removing the shellac nail polish safely, the better you will be able to remove the polish without causing any damage or frustration. 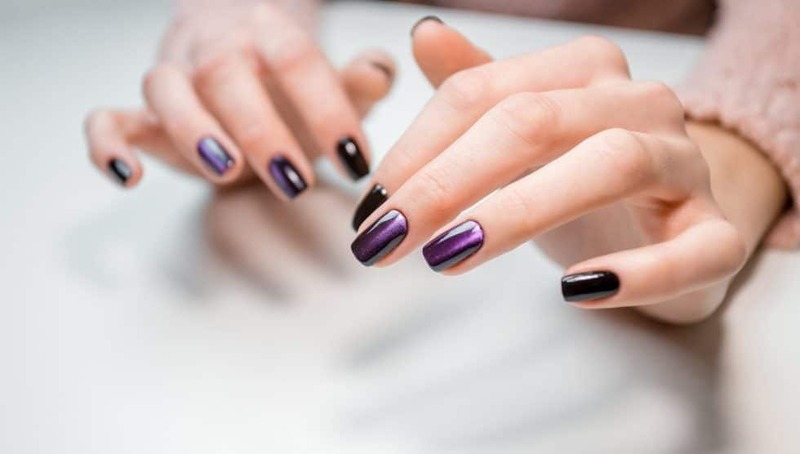 Even, if you can remove the nail polish at home, it is still recommended that you are doing this at a salon if you don’t have any experience in removing shellac nail polish. These are all the essential tips that you should always remember. No matter what, you should always make use of cuticle oil before and after you have removed your nail polish. This is to make sure that you are protecting your nails. The wrapping method is easier and faster than the soaking method. This is the most recommended method as well for removing shellac nail polish. Applying hand and nail cream is essential if you want to make sure that you have healthy hands and nails. Especially when you are going for the shellac nail polish at nail salons. Don’t ever try to pull the nail polish off your nails. Or, scrapping it off with your nails or any other tool. This is damaging to your nails. You should make sure that you are only using high-quality nail polish remover for removing this type of polish. The higher the quality acetone, the faster the removal process will be. And, you will know for sure that you are limiting the damage to your nails. Removing your shellac nail polish is really hard. And, even if this is recommended that you are going to a professional for removing this type of nail polish, you can do it at home. The only thing that you need to know is how to remove it safely and without damaging your nails. There are many different ways and tips about removing your shellac nail polish, and you should try them all until you find the one that is best for you. Just remember the dos and don’ts when you are considering doing it at home.